In the concluding edition of their comprehensive review of the last twelve months of Athletics competition, statisticians A. Lennart Julin and Mirko Jalava give their impressions of the Combined Events in 2004. Behind a handful of brilliant top athletes in recent years there has been a steady decrease in Decathlon standards as measured by the number of athletes scoring 8000 points or more. From the all-time high of 52 in 1996 it had gone all the way down to 22 in 2003. But Olympic years are of course special and 2004 provided, at least temporary, a revival as the number rose to 30. However, if you compare it to the previous Olympic year (2000) when there were 39 athletes it would be premature to announce a definitive trend break concerning the wider interest in the event. Traditional “super powers” still appear to find it tough to recruit talents from the “young generation” that could fill the gaps that are beginning to appear. If you look in the Czech national lists behind the 30-year-old undisputed World No.1 Roman Sebrle you will find Tomaš Dovrak (age 32) at 8211 and Jiri Ryba (age 28) at 7784. In Russia, Lev Lobodin at 35 is still unchallenged with his 8240 although there were a couple of athletes born in 1980 that surpassed the 8000 benchmark. 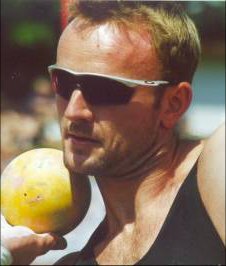 Of the old European “super powers” Germany appears to have the best group of up-and-coming athletes with Dennis Leyckes (born 1982) 8172, Christopher Hallmann (1983) 8045, Stefan Drews (1979) 8032, and André Niklaus (1981) 7929, although they will find it quite tough to reach the levels of former German greats like Hingsen or Busemann. So looking towards Helsinki 2005, and especially Osaka 2007 and Beijing 2008, it seems as if Europe will find it hard to compete for the top medals, unless Sebrle manages to stay healthy and motivated. The future will probably instead belong to America and Asia in the form of 24-year-old Bryan Clay, and the one year younger Dmitri Karpov. These two established themselves on the international scene in 2003 and in 2004 both of them took another major step of some 300-400 points with Clay reaching 8820 (5th all-time) and Karpov attaining 8725 (12th all-time), which forced World record holder Sebrle to produce his second best ever score to get the Olympic gold medal! Jon Arnar Magnusson is the Icelandic record holder at 100m, 200m, 110m hurdles, long jump and decathlon. He has won silver and bronze medals at World Indoor Championships.